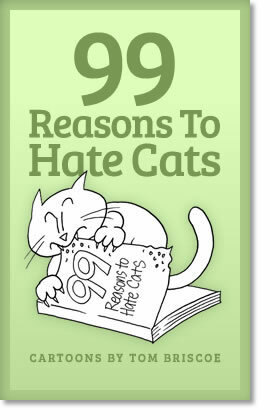 99 Reason to Hate Cats is a cartoon book born out of deep familiarity. It illustrates the many ways in which the Felis Domesticus can drive their owners mad. Yet somehow, these fine felines maintain their keeper’s affections. Read, laugh and see if you find yourself (and your cat – or cats) in these pages. On Kindle in color: For the color-capable Kindle Fire and Kindle apps, the cat cartoon illustrations are shown in color.